It is so tempting to get home and eat dinner in the front of the television. There are times where this is more than okay, but it is so important for yourself, your relationship with your spouse, and your children to sit together at the dinner table and talk. I’ve seen people sit in silence, play on their phones, or just spend the time complaining about their day. This leaves everyone feeling drained and unconnected. I have a better idea. 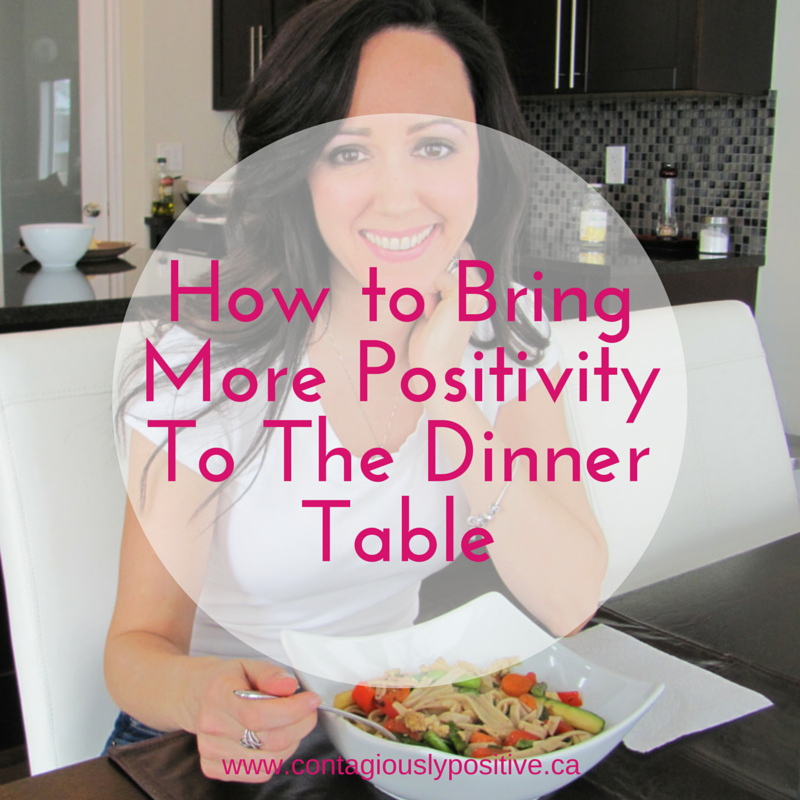 How about making dinner time a positive experience? Something you all look forward to and something that will not only bring you closer, but will fill your home with positivity. Sitting at the dinner table, you each have talk about three good things that happened that day. It can be as small as, I didn’t get yelled at by my boss or as big as I closed a major sale. For the kids, have them talk about something really positive like what they learned, a fun experience with a friend, or even something good that happened at recess. You will have to guide them into sharing because their default may be to say that nothing happened. The point of this sharing exercise is to focus on all the goods things, not the bad things, even if you had a bad day. After everyone shares their list, the next step is to move on to three things you are grateful for. Every shares their gratitude list, even if it is all the same. Gratitude is a great way to feel blessed, even when things are not going your way. It also turns feelings of lack into feelings of abundance. Learn more about gratitude in my past blog. Click here to read. A 30-minute dinner has now turned into a Contagiously Positivity Power Session!